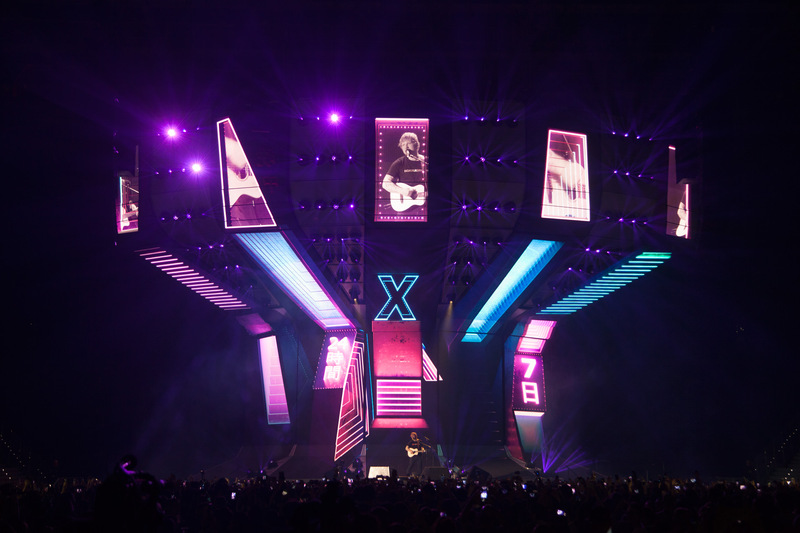 Ed Sheeran is performing alone on the gigantic Divide tour set, our mission is to accompany his music, and harmoniously integrate visuals with lighting and live feed components to create the most immersive and exhilarating experience for the audience. 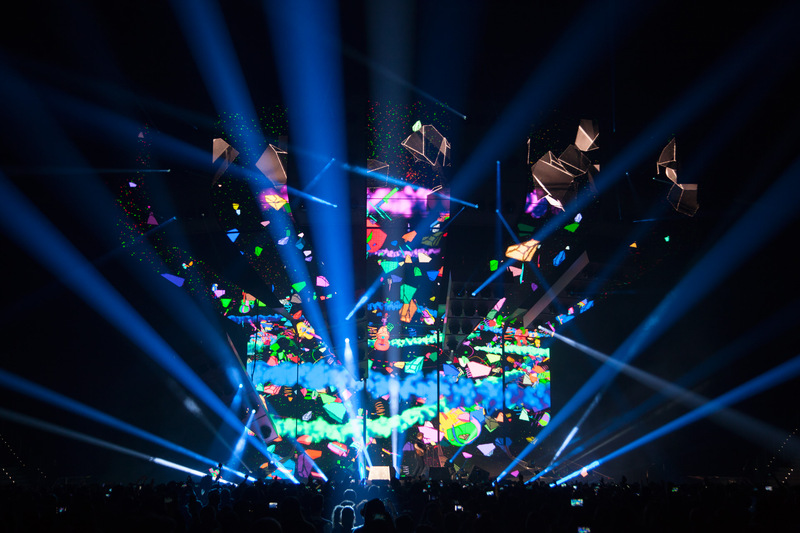 Moment Factory was approached by Mark Cunniffe, show director and light designer on Ed Sheeran’s 2017 worldwide Divide tour. 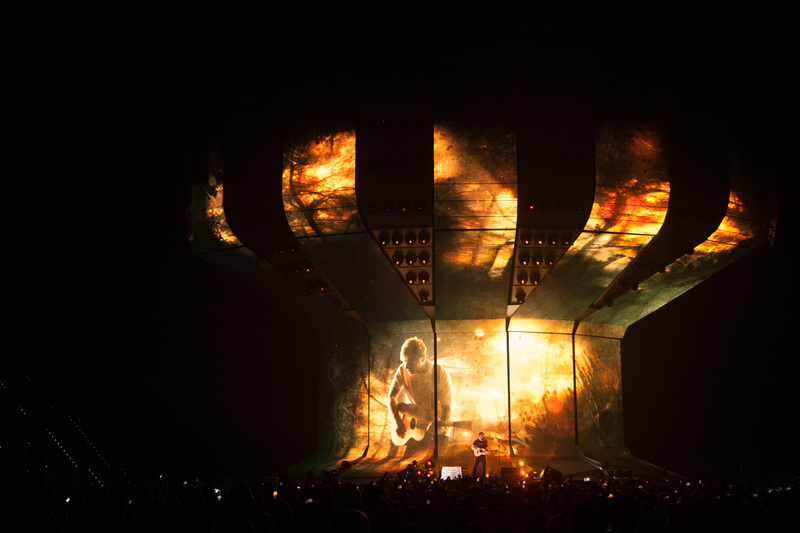 For this production, we were asked to design 10 pieces of visual content, scenery, and context to enhance Ed’s performance. A lot of the visual components are inspired by his personal tattoos. While the narrative takes various tangents, from space travels to dark neon alleys, from spinning carousels to blood red storms; the underlying melancholy of his music is present throughout the entire show. Each concept, while designed for a specific song, could be assigned to another, so everything needs to be very flexible and not tempo-specific. 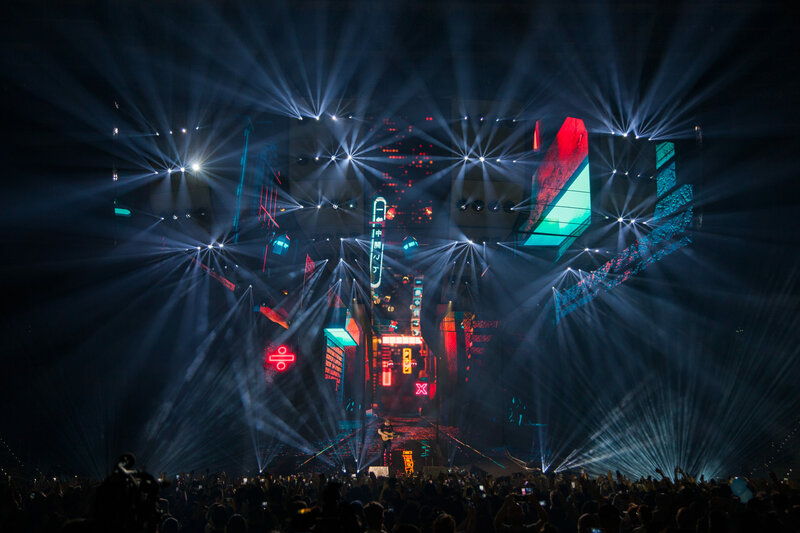 The stage is made from 4 mm LED panels, and making optical illusions using the architectural shape of that stage made for interesting technical challenges.